Upgrades are being made to our Internet Security Services. 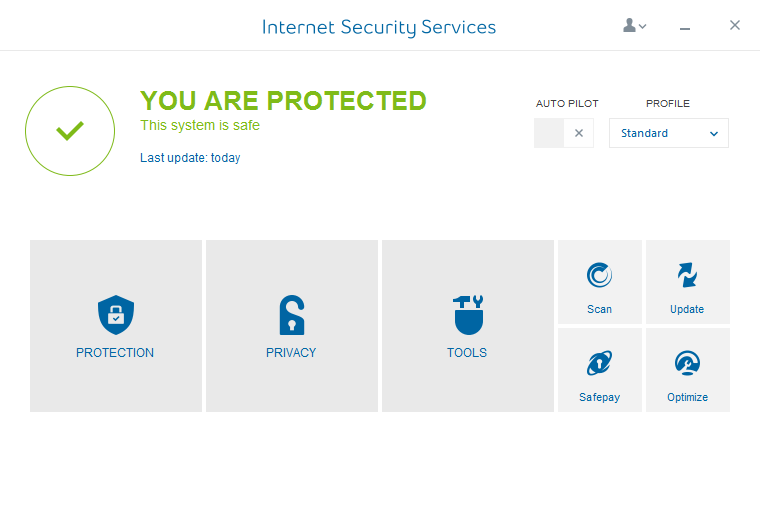 Learn how to Download and install Internet Security Services to get the most current version. Open the Internet Security Services. Click the Protection icon. The Protection screen appears. Under Vulnerability, click Vulnerability Scan. 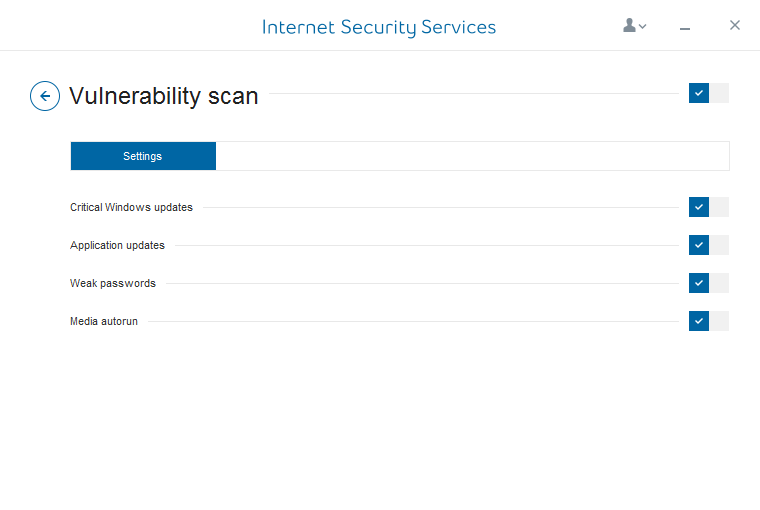 The Internet Security Service Vulnerability Scan appears. 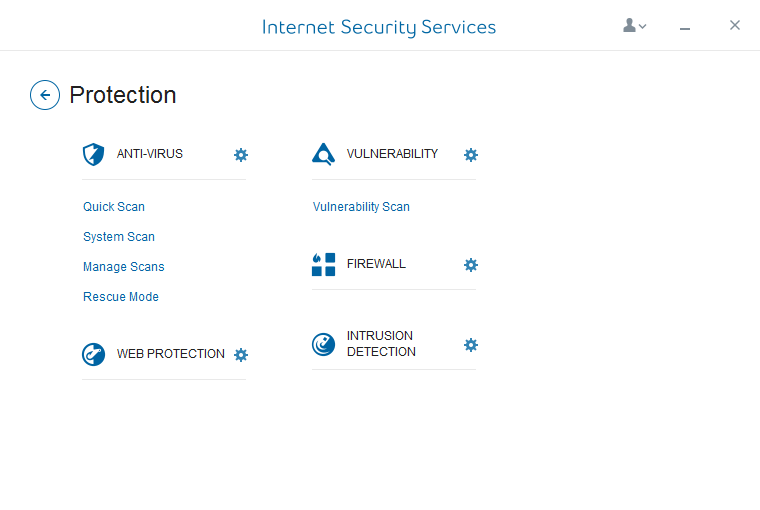 Wait for Internet Security Services to check your system for vulnerabilities. This may take a few minutes. The Vulnerability Scan displays all vulnerabilities. Click on the action beside the vulnerability to take action to resolve the issue.